Anker’s SoundCore Motion B traded in its legendary predecessor’s 24 hour battery for a 12 hour battery, but it comes in at a lower price, and with improved IPX7 water resistance. What’s the deal with Days Gone, a video game about killing zombies and being sad on a motorcycle? On today’s Kotaku Splitscreen, we discuss. It’s a big week for players of Nintendo’s mobile action role-playing game Dragalia Lost. Along with permanently reduced prices for summoning heroes and dragons, familiar faces are crossing over as part of the special Fire Emblem: Lost Heroes event. We’re continuing our quest to marry and kill ten spouses in The Sims 4 live on our Twitch channel! Last time our Sim became best friends with the Grim Reaper (aka “Greaper”). Today, she’ll give birth to her murdered husband’s child. Gross! Suggest baby names in the chat! Super Smash Bros. Ultimate has only been out for a few months and its competitive community has already gone through several distinct phases of hatred for various cast members. The latest Nintendo character to receive the scene’s ire is Captain Olimar, the diminutive protagonist of the Pikmin franchise. Power Rangers (and its Japanese predecessor, Super Sentai) is no stranger to additional rangers joining the team mid-show. 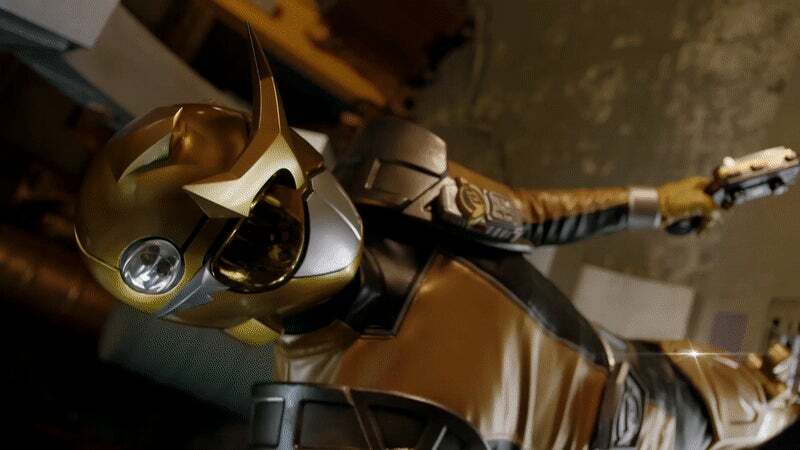 The latest entry in the series, Beast Morphers, is no exception—and io9 has your very first look at its new Gold Ranger in action, as well as a chat with the man himself! I’ve spent a lot of time this console generation honing my screenshot-taking reflexes, and now my Switch, PS4 and Xbox One are full of pictures and videos I’ve captured. But what did I capture first? It doesn’t take long for accessories to pop up for a new gaming device, but Sweat Proof Gaming might have come up with the first accessory for an accessory? For $14 it’s released a head strap upgrade for Labo VR Kit that installs (and easily removes) without any modifications needed. Last night, Epic Games boss Tim Sweeney tweeted that his company would end its controversial exclusivity agreements if Steam raised its revenue cut for developers. It’s a strong statement, even if there are reasons to be skeptical of Sweeney’s position. BlizzCon, Blizzard’s annual convention for all things, well, Blizzard, will take place November 1 and 2 this year. Tickets go on sale May 4. The event will host all of the regular esports tournaments for games like Overwatch and Hearthstone, and who knows, Blizzard might even announce another mobile game. Nintendo has opened up signups for a Mario Kart Tour beta set to begin May 22. The full mobile game will be released later this summer. Beta signups are currently only for Android. 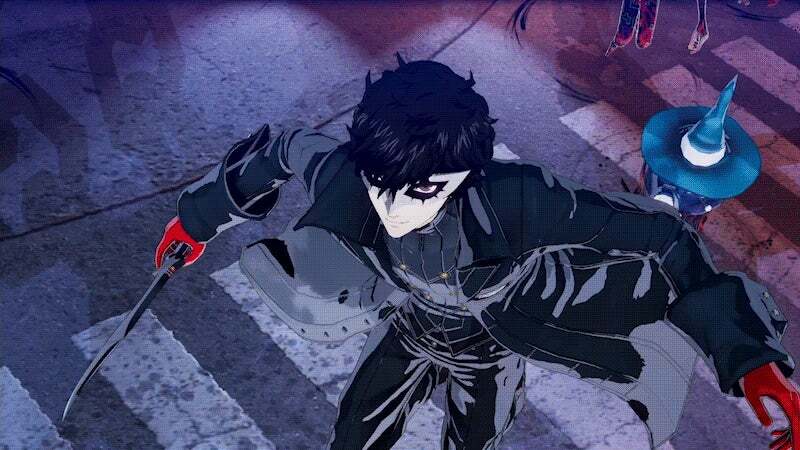 Following yesterday’s detailing of a cool, expanded edition of Persona 5 coming to the PlayStation 4, today Atlus reveals Persona 5 Scramble: The Phantom Strikers, a musou action RPG by Dynasty Warriors developer Omega Force, coming to the Nintendo Switch and PS4. Welp.